Did any of you watch Witches of East End on Lifetime? So mad that it got cancelled right on that cliffhanger! 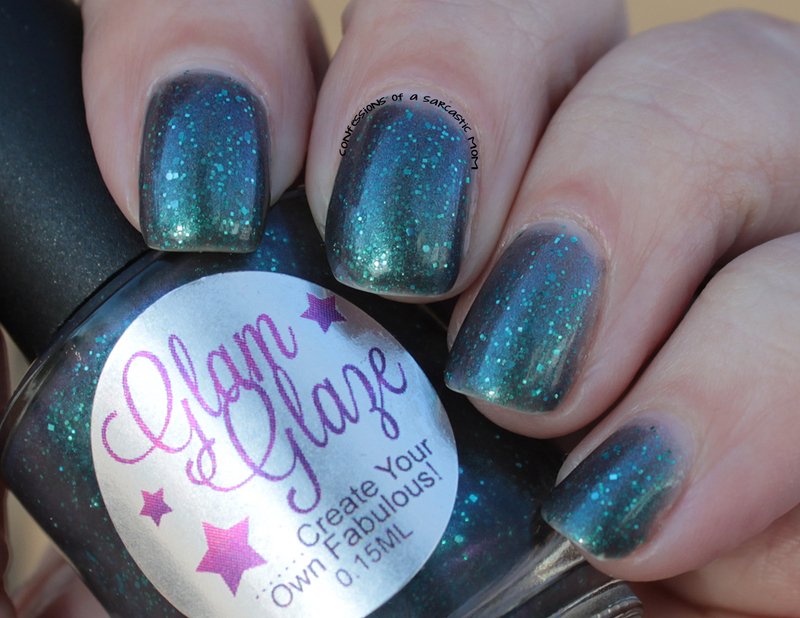 Anyway, I stumbled upon a new-to-me indie polish, Glam Glaze, and she's got WoEE-inspired polishes! I snagged the colors inspired by Freya and Dash - the latter of which I have for you today! 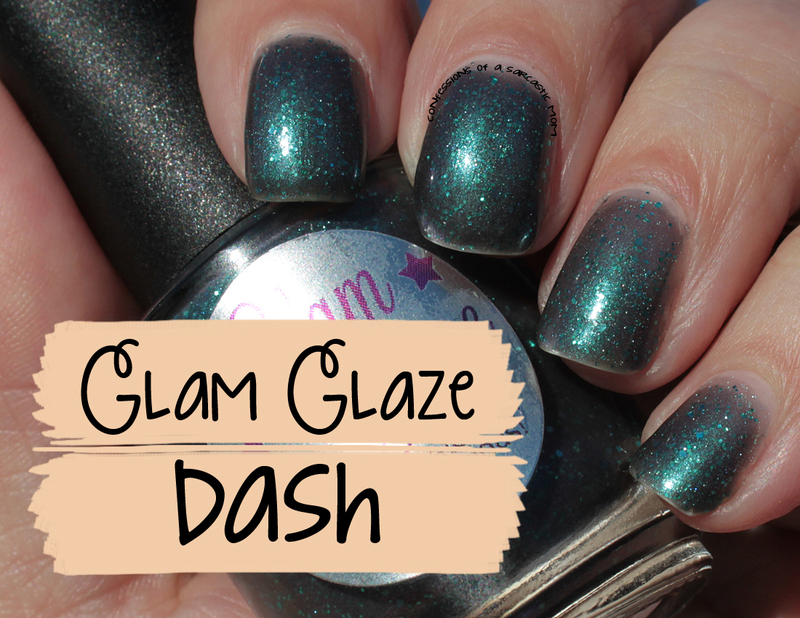 This polish is a black jelly base with teal glitters. I'm not good with layering upon layering of jelly glitters haha I originally wore this over black, but it just didn't do it for me. Here I have two different "sets," I guess you'd call it - my pointer and middle finger are three coats of polish, and my middle and pinky are two coats. As you can see with the two coats, there is VNL. The formula is good on this one, not too goopy, and it spread across the nail easily. You can see I've got tipwear. I wore Seche Vite, and Seche ALWAYS does that to me. Unless I'm wearing actual Seche polish. What do you think? It certainly has a glow! 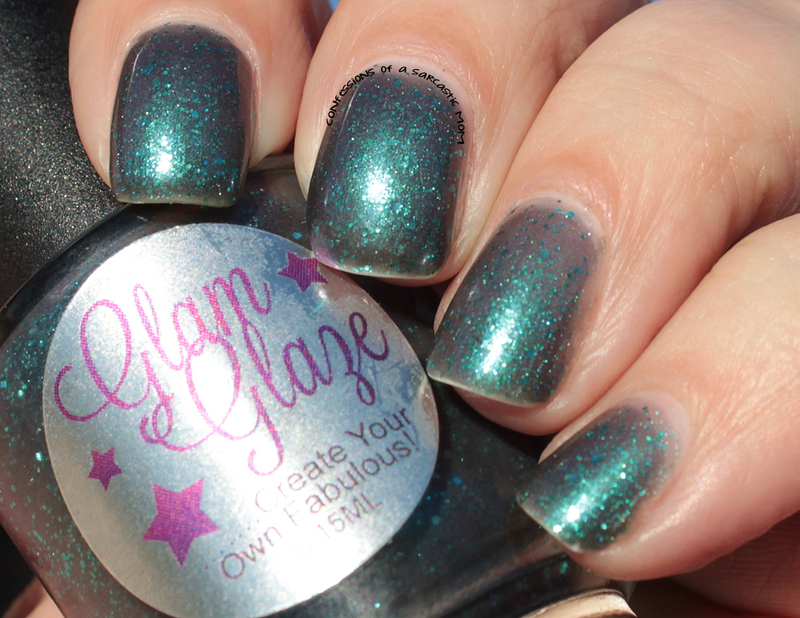 Do you own any Glam Glaze polish? **DISCLAIMER** I was not paid for this review by anyone. I either purchased these products myself or was given it as a gift. Affiliate links are through Amazon.